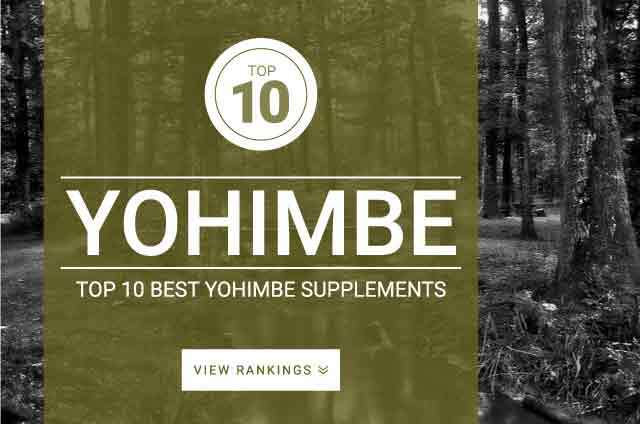 Onlinestrength analyzed 10 best-selling Yohimbe supplements in the United States for yohimbe bark and yohimbine alkaloids content and filler ingredient (preservatives, fillers, or artificial colors, flavors or fragrance) contamination. Yohimbe, and its subset yohimbine, is primarily supplemented for its ability to treat impotence. In recent years its supplemented for its ability to help burn body fat. Holistic health practitioners and athletes supplement yohimbe to boost metabolism, sharpen focus, and improve mood. Research shows that the stimulating effects of yohimbine may have a positive effect on improving fat metabolism. When supplemented, yohimbine blocks a certain receptor which increases sympathetic nervous system output boosting adrenaline and thus, increasing energy, focus, motivation, and metabolism. It should be noted that yohimbine is a strong stimulant and that excess amounts can put an immense amount of stress on the heart. Yohimbe stimulates the nervous system which boosts energy, metabolism, focus, mental concentration, and potentially fat loss. Research shows that yohimbe can be beneficial to overall athletic performance. Yohimbine dosage – Studies show that 15 to 30 mg of yohimbine daily is a relative safe dosage range.